Lalitha Pancharatnam Stotram or Lalita Pancha Ratnam Stotra is a beautiful Stotra composed by Adi Shankaracharya. 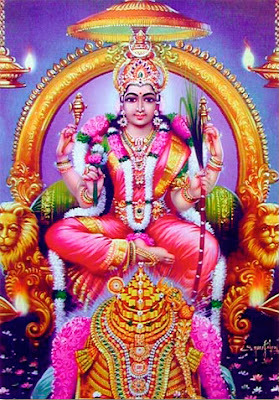 It is believed that those who chants Adi Sankaracharya's Lalita Pancharatnam in the morning, extolling the mother Lalitha - the Goddess of bliss, an incarnation for Goddess Parvathi - would get luck, knowledge riches, endless fame by the grace of Goddess Lalitha. Vidhyaam sriyam vimala soukha manantha keerthim.